An exhibition chronicling William S. Burroughs' time living in London from the collection of beat and countercultural author Barry Miles' personal photos and ephemera will be on display at Westminster Arts Library from May 7 - June 2. Miles' connection to the 1960s counterculture and the Beats runs deep. In the video interview above, Miles talks about his relationship with Naked Lunch author Burroughs who he met in London in the 1960s when he ran the Indica Bookshop and Gallery in the courtyard of the building in Duke Street, St James's. This was where Burroughs, artist Brion Gysin and filmmaker Antony Balch lived. Miles was also editor of the seminal publication International Times. Miles authored the official biography of Allen Ginsberg, William S. Burroughs, A Life, Call Me Burroughs, A Life and The Beat Hotel as well as innumerable books on music and the history of the counterculture in the UK. A number of special events will be held to coincide with the exhibition, including Master Musicians Of Joujouka manager and producer Frank Rynne in a Q&A conversation with Barry Miles on the subject of Burroughs' London years. In 1972 Miles engineered the second MMOJ LP The Master Musicians Of Jajouka – The Primal Energy That Is The Music And Ritual Of Jajouka, Morocco, while Burroughs was the first person that Brian Jones of the Rolling Stones played the recordings of Joujouka he made in 1968 to, arriving in the morning at the El Minzah Hotel in Tangier to play them to him in his room. 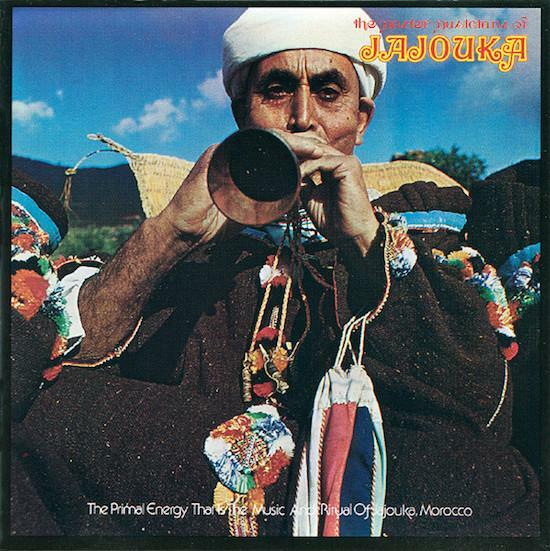 Those recordings were later released as Brian Jones Presents The Pipes Of Pan At Joujouka in 1972. "William moved to London in the winter of 1959-60 in order to be near his boyfriend, Ian Sommerville, who was finishing his studies at Cambridge University," Barry Miles says. "He lived in London, on-and-off, until 1974, at first in a series of hotels, and from 1967, in Duke St. James's, in Mayfair. He used photography as a tool: by taking pictures of view from his window he saw the rooftops anew each day. He took multiple photographs of friends and random people to assemble visual composites in his mind that he could use to create characters in his writing. "He made photographic montages from pictures of his family, partners and friends, photographed them, then re-arranged them: each montage having a different emotional value according to the placement and dominance of the different elements. The pictures were not stuck down like traditional collages, they only existed in the photographs. The Q&A session, part of Salon For The City’s Naked London Lunches series will take place at Westminster Arts Library, London at 6.30pm on May 30. There will also be a guided walk of Burroughs' London on May 26 with writer Antony Clayton and esoteric scholar Dr William Redwood. For more details visit the Salon For The City website and the Facebook event page.